Wells Fargo is an international financial and banking services holding company and its headquarters is located in San Francisco, California, USA. Based on market capitalization, it’s the second largest bank in the world and based on assets, it’s USA’s third largest bank. Wells Fargo was formed in 1852 by Henry Wells and William Fargo who were also the founders of American Express. The goal was to provide banking services to California. Wells Fargo was awarded as the most valuable bank brand in the world for two consecutive years in 2013 and 2014 by the Brand Finance and The Banker. In 2016 it placed 7th on the list of biggest public companies in the globe by Forbes Magazine Global 2000. Benefits enjoyed by employees of Wells Fargo include parental and critical caregiving leaves, paid time off, commuter benefits, adoption reimbursement, tuition reimbursement and scholarships, health benefits, discounts and savings, and a 401k plan. Wells Fargo instills caring as the company’s culture. Each employee is encouraged to contribute ideas that will benefit the company as a whole and improve the lives of their co-employees. How old do you have to be to work at Wells Fargo? Like other banking and financial institutions, Wells Fargo follows strict rules and qualifications when hiring employees. An applicant should be 18 years or older and must have at least a year of experience in customer service. There are more than two thousand job positions available at Wells Fargo and at each of their many ‘hubquarters’. Here are some of them. Collector: As a Collector the hired applicant will be part of the Payments, Virtual Solutions, and Innovations or PVSI team. The position requires working with customers that have past due accounts and offering solutions to bring student load, credit card, direct auto loan, personal line and loan, deposit accounts, and retail services up-to-date. Administrative Assistant: The Administrative Assistant is tasked to provide administrative support to paralegals, managers and attorneys as assigned and determined by the Legal Manager. He or she will handle assignments that range from the moderately complex to complex and also do routine administrative duties like calendaring and logistics. Analytic Consultant: The Analytic Consultant’s responsibilities include consultations with partners to define and identify business requirements and to translate these into complex analytical recommendations and designs. He or she will be part of the High Risk Customer Surveillance (HRCS) team whose primary function is to translate data analytics tools to business solutions. Business Banking Specialist: The Business Banking Specialist is tasked to offering to lending, deposit, and other product solutions for small businesses and act as consultant for achieving performance objectives and business packages that satisfies the customer’s financial goals and requirements. The position may also call for visiting businesses as a form of community reaching out by providing educational seminars. Business Initiatives Consultant: The Business Initiatives Consultant is tasked to lead strategic initiatives that focus on effectiveness and efficiency, as well as contribute to the firm’s strategic priorities. The position calls for initiatives that are high profile and are built with partnerships with senior managers. Business Support Consultant: The Business Support Consultant is tasked with leading a variety of support functions to Asset Management. Functions include process improvement, reporting and analysis, policy/procedure adherence and administration, quality management, regulatory and legal adherence, change/systems initiatives, communications, and SLA development/negotiation. He or she will be consulting with business partners and management on performance improvement plans and strategic approaches. Client Associate: The Client Associate’s responsibilities include providing support for the Financial Advisor. He or she will provide the Financial Advisor and the clients with account quotes and information, enter order tickets upon approval of the Financial Advisor, establish new accounts, and processing payments and deliveries. Other functions include preparation of marketing campaigns as directed by the Financial Advisor, and preparing reports and forms. Compliance Consultant: The Compliance Consultant will conduct supervision of complex, high risk internal and regulatory policy requirements, provide expertise in regulatory compliance risks, act as consultant for support and business partners, and projects. He or she will assess Ethics Oversight programs through quarterly evaluations which will determine the compliance’s condition. Customer Service Representative: The Customer Service Representative position requires people with the ability to provide excellent customer experience, self-motivation, reliable attendance, ability to function well as part of a team, positive attitude, and should accept feedback and coaching as part of his or her development. Main function is to answer questions from customers to help them achieve financial success. Executive Assistant: The Executive Assistant’s responsibilities include appointment scheduling for executives, maintaining distribution lists and Sharepoint sites, partnering with other administrative assistants to ensure that general tasks are completed, maintaining a service oriented team, and acting as source of information for business and department policies and procedures. Interested applicants may visit any Wells Fargo branch to inquire for job openings or visit the careers page on their corporate website to search for open positions. 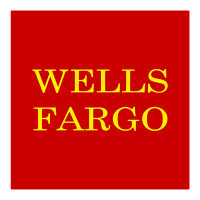 Wells Fargo has both in-branch and online applications. The latter is considered to be more convenient because everything is done online and processing is faster. When filling up the application form, applicants are recommended to put in any prior work experience that may be related to the position they are applying for. Accurate personal data should also be provided. Resumes of applicants should be concise and comprehensive with details on their educational attainments as well as previous work experiences. When invited for an interview, applicants are required to come on or before the scheduled time and must wear proper business attire. Wells Fargo main goal is help people on their path to financial success. They believe that to better serve the customers, reliable guidance is important. Wells Fargo became the US’s third largest bank in 2015 as far as assets are concerned. As of end of 2015, Wells Fargo had almost 9,000 retail branches, and over 13,000 ATMs. Wells Fargo is known for social projects like providing financial health programs and consultations as well as other non-financial related efforts. Volunteering is a part of the Wells Fargo’s culture and it shows through its efforts to help the homeless and those affected by natural disasters. 1 How old do you have to be to work at Wells Fargo?